US-based GoDaddy Inc., an internet domain registrar and web hosting solutions provider, has announced the launch of WordPress websites for the Indian market. The solution features WordPress Quick Start Wizard that simplifies the website creation process to help people get started quickly to build their website, according to a media statement. WordPress websites will enable small business owners, individuals and web professionals easily convert their ideas online into a professional looking website with high-quality images and choices of templates, the statement said. "Getting a website up-and-running is a crucial task for a small business owner and we are focused on helping small business owners and those who support them with flexible and affordable solutions," said Andrew Low Ah Kee, executive vice president, GoDaddy International. "Adding WordPress Websites to our portfolio helps provide a full range of site building tools for our customers in India. GoDaddy WordPress Websites is designed to be an affordable and an easy way to create a powerful, scalable WordPress website," he added. WordPress Websites includes professionally built premium themes and a Visual Page Editor for easy drag and drop customisation. The pricing options for the WordPress websites start at Rs 99 and go upto Rs 549 per month. Four months ago, GoDaddy had announced availability in Hindi, Marathi and Tamil to enable more small businesses across India to build an online presence. Headquartered in Scottsdale, US, GoDaddy has several offices across its home country as well as Australia, Brazil, Canada, India, Mexico, Netherlands, Singapore and the UK. 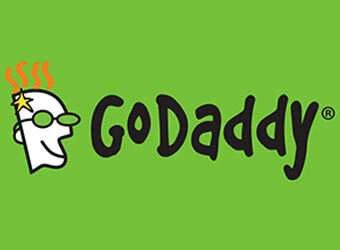 GoDaddy claims to have about 14 million customers worldwide and more than 63 million domain names under its management. The company went public last year and its shares have climbed since then; it is valued around $6.2 billion.